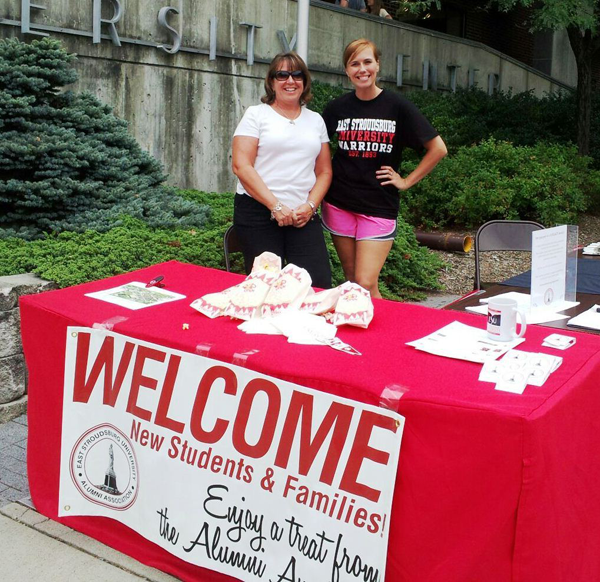 Show your ESU Warrior pride by volunteering as an Alumni Admissions Volunteer. The ESU Admissions Office is looking for volunteers across the country to assist with recruiting future Warriors at college fairs, making phone calls, and recommending students to ESU. Click here to become an Alumni Admissions Volunteer. The Office of Career Development seeks alumni to mentor students, volunteer for workshops, provide internships, recruit at job fairs and serve as a guest speaker in the classroom. An ESU alumni mentor is a professional who guides a less experienced student by building trust and modeling positive behaviors, and understands that his or her role is to be dependable, engaged, authentic and tuned into the needs of the mentee. If interested, contact Daria Wielebinski, Director of Career Development, at dwielebinski@esu.edu or call (570) 422-3282, or click here to become a Warrior Alumni Mentor.